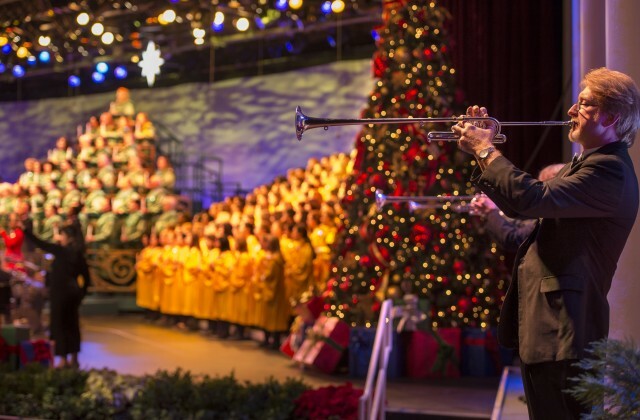 Presented in the America Gardens Theatre at Epcot, Candlelight Processional is one of the most beloved holiday traditions at Walt Disney World Resort. 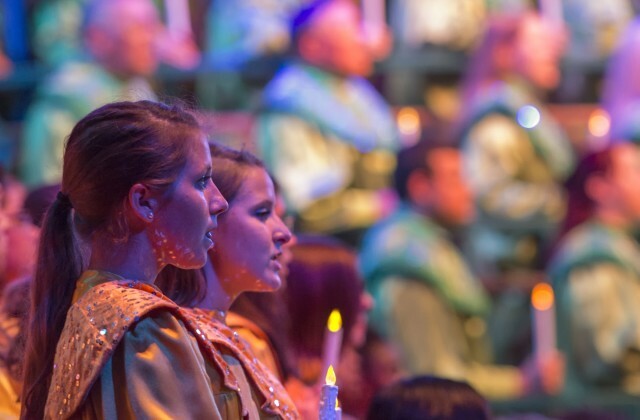 One of the most beloved holiday traditions during this special seasonal event is The Candlelight Processional. 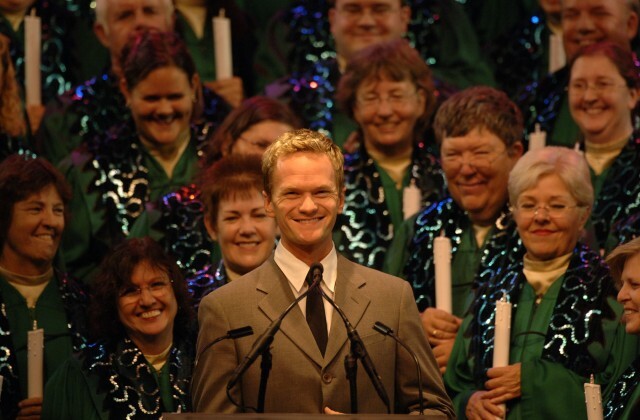 This poignant performance allows guests to experience the Christmas story through masterful storytelling by celebrity narrators, accompanied by a mass choir and the Walt Disney World orchestra performing traditional and contemporary Christmas songs. For an extra special yuletide experience, guests can purchase the Candlelight Processional Dining Package. Dining packages include appetizer, entrée, dessert and non-alcoholic beverage at select Epcot full-service restaurants (or one full buffet where applicable), and guaranteed seating for the Candlelight Processional. Dining packages do not include park admission. For reservations, guests can call 407-WDW-DINE, or visit disneyword.com/dining. 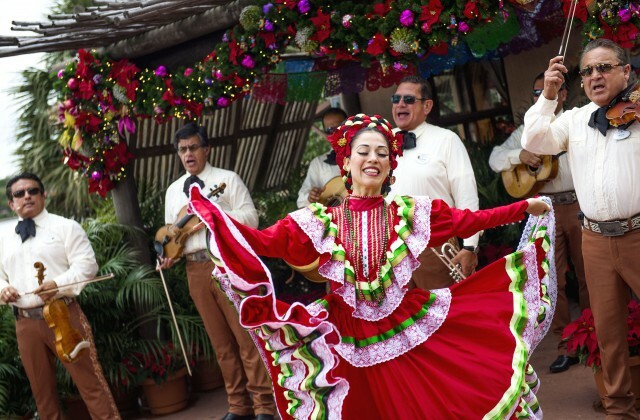 In addition to the joy-filled stage performances, Holidays Around the World immerses guests in holiday celebrations and traditions from various countries throughout World Showcase. Amid joyful music and festive treats, treasured traditions spring to life as storytellers share their countries’ holiday heritage. International holiday experiences around the World Showcase include the musical Canadian Holiday Voyageurs at the Canada Pavilion, the colorful Chinese Lion Dance at the China Pavilion, a festive mariachi band and vibrant dancers at the Mexico Pavilion, and a lesson about the “spice of life” by a Moroccan drummer at the Morocco Pavilion. Guests also can enjoy the music of the Voices of Liberty Dickens Carolers and greet Santa and Mrs. Claus at the American Adventure Pavilion. For a full list of Holidays Around the World festivities, visit disneyworld.com/holidays-around-the-world. The celebration comes to a joyful conclusion each night with “IllumiNations: Reflections of Earth,” a laser, light, and fireworks spectacular capped with a dazzling seasonal finale.